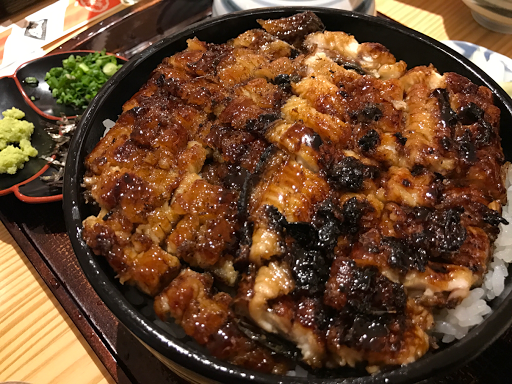 If you think the craze about tendon or flying udon were the recent big players in the Japanese food scene in Singapore, this post is meant for you. Read on. 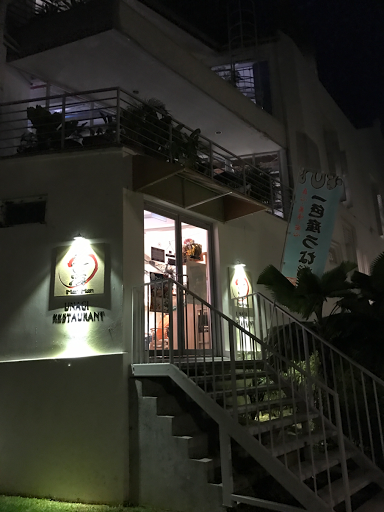 Located in the hearts of Chinatown makes Man Man Unagi Restaurant an easy reach for the working crowd. I have heard rumours that lunch time queue can be as long as an hour's wait. 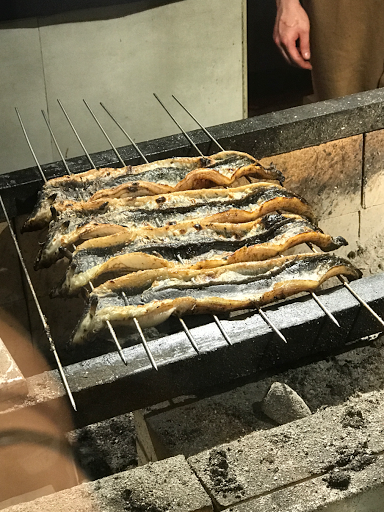 So either you reach at 11am before it opens or you will need to have an extended lunch to get your hands on these charcoal-grilled freshwater eels. I arrived at 9.30pm and the restaurant was about 75% full, still a sizeable crowd considering it was just Monday! Take a look at Mr Rudolph spreading those charcoals to make sure it's got the best heat to cook those skewered Unagi. Honestly, I pity him for having to wear them throughout the day and standing by the charcoal pit. Yet he looked so calm in it as if he's been doing it for years! Applause to Teppei Yamashita's success in creating the X'mas mood. 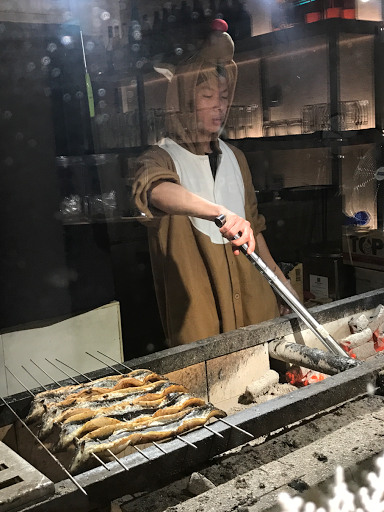 Those Unagi being barbecued looks so 'live'. And I found out that it's freshly caught from the in-house breeding pond and cooked right in front of your eyes. From seeing the thinly sliced Unagi being skewered to firming up, the process just shows how skilful the chefs are in perfecting those eels. That got me really excited to get on with the eating. But first, an up-close shot of my favourite fish since childhood. Not kidding, my very first taste of a Japanese cuisine was a bowl of unagi don and it has since been my weakness, although certain sushi places can really burst my bubble sometimes. Check out the upsized hitsumabushi which cost only $35.80! Didn't you notice the portion of unagi in that bowl? I almost tear up in joy when I opened the lit and found them glistening at me. These beautifully grilled unagi are then thinly sliced and topped the bed of rice. It was the first time I had unagi this tasty and the skin this crispy! I found myself gobbling them down by mixing with the freshly grind wasabi, nori seaweed, spring onions and dashi stock while slowly savouring the unagi meat melt in my mouth. There were also several other sauces such as a spicy and sweet sauce which you are free to add on to the rice for a variety. The set is just nice for two if you still want to try other dishes. 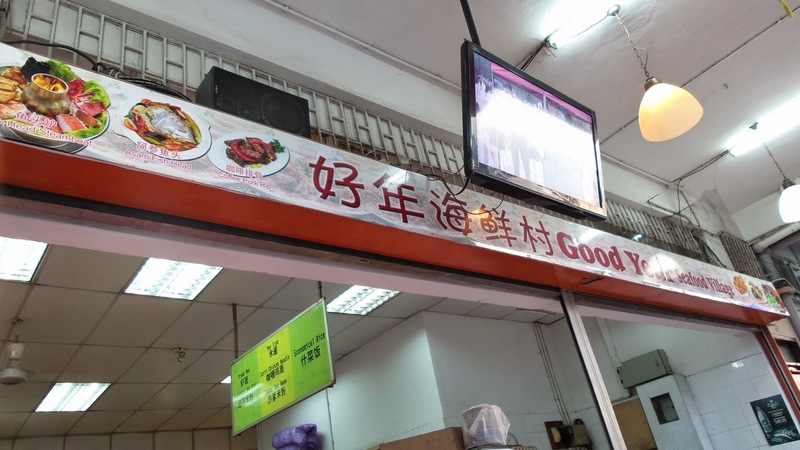 I can't wait to try the grilled eel liver, yes liver. Yums! In my opinion, this is truly a brilliant concept restaurant which concentrates on one main lead i.e. Unagi and then recreating it in many different ways to bring out the best. The beauty of the unagi dishes here is based on two things: Simplicity and Passion. 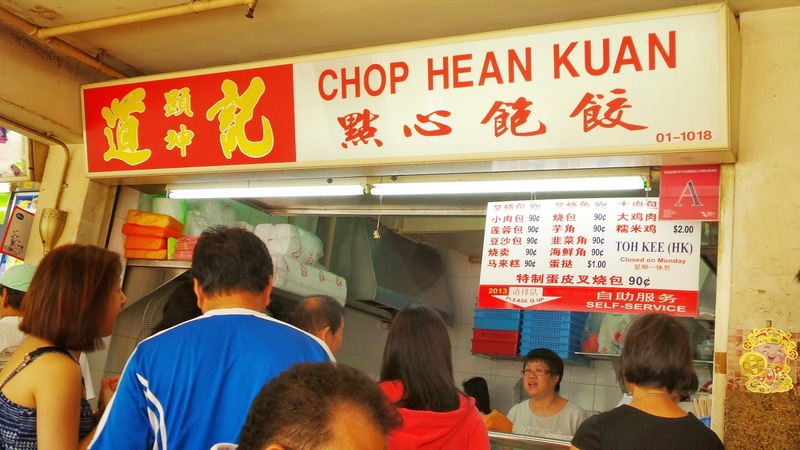 Without them, Singaporeans will not have the luxury to enjoy such a delicacy. I'm looking forward to see what else Teppei and other great foodies will be offering in time to come!